Special counsel Robert Mueller's grand jury is investigating a prominent Democratic lobbyist and a former GOP congressman for their involvement in an influence campaign on behalf of Ukrainian interests tied to Paul Manafort, a person with direct knowledge of the investigation tells the Associated Press. At the center of the widening probe are Tony Podesta, a longtime Democratic operative, and Vin Weber, a former GOP congressman and leader of his own high-powered lobbying firm, Mercury LLC. The two men were hired as part of a multimillion-dollar lobbying effort directed by Manafort and longtime associate Rick Gates. With the emphasis on the Ukrainian lobbying efforts, Mueller's criminal probe is moving beyond investigating ties between the Trump campaign and Russia and is aggressively pursuing people who worked as foreign agents without registering with the Justice Department. More witnesses are expected before the grand jury in coming weeks. Representatives for Weber's firm and Podesta said they are cooperating with the special counsel's investigation. Podesta, whose brother Tony Podesta was the chairman of Hillary Clinton's campaign, has resigned from his firm. 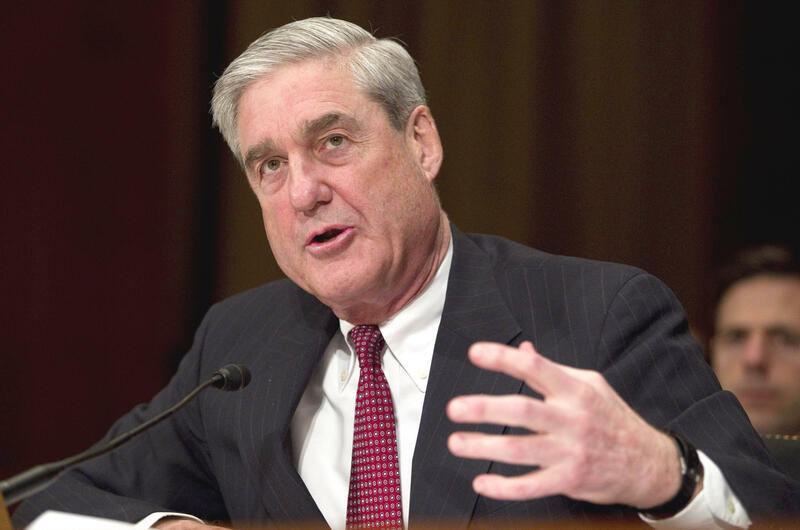 FBI agents working for Mueller are asking witnesses about meetings among Gates, Podesta and Weber to discuss the lobbying work in detail and any communication with representatives of a pro-Russian Ukrainian political party, according to two people familiar with the interviews who spoke on condition of anonymity because of the sensitivity of the investigation. "There were questions about how much Podesta and Vin Weber were involved. There was a lot of interest there," one of them said. FBI agents also expressed interest in the law firm Skadden, Arps, Slate, Meagher & Flom LLP, which produced a 2012 report used to justify the jailing of an opposition politician in Ukraine. Both people said that investigators on Mueller's team have asked about what the lobbyists knew about the source of the funding and who was directing the work in 2012 — long before Manafort became Trump's campaign chairman in 2016. Gates and Manafort were both indicted Monday on charges of acting as unregistered foreign agents and lying on forms they filed with the Justice Department's Foreign Agents Registration Act unit, as well as money laundering. According to Manafort's indictment, he and Gates "engaged in weekly and at times daily calls and emails with (company 1 and company 2) to provide them directions as to specific lobbying steps that should be taken and to receive reports back as to the results of such lobbying." The two firms were the Podesta Group and Mercury. In addition, Manafort's and Gates' 2017 disclosure forms "misrepresented the relationship among (the Targets), the Ukrainian government, the European Centre for a Modern Ukraine (ECFMU), and two U.S. lobbying firms," the government said. Where does Robert Mueller go from here? Mercury and Podesta's work involved a non-profit called the European Centre for a Modern Ukraine. People familiar with the efforts have described the non-profit as a front to disguise an influence campaign on behalf of the party of Ukraine's then-president, Viktor Yanukovych. It was governed by a board that initially included parliament members from Yanukovych's party and subsequently paid at least $2.2 million to the lobbying firms to advocate positions generally in line with those of Yanukovych's government. Podesta acknowledged to the AP in 2016 that Gates had been involved in the European Center's work, but said he had no idea the organization was not a legitimately independent client. Skadden's involvement with Manafort stems from its production of a 2012 report downplaying the political motivations of the Ukrainian government in jailing an opposition leader, Yulia Tymoshenko. The report, written by former Obama White House counsel Gregory Craig, found that Tymoshenko's trial was procedurally flawed but not marked by political persecution. The Ukrainian justice ministry officials who supposedly commissioned the report trumpeted it as proof that Tymoshenko was not a political prisoner. But how the report came to be is now in question. According to the indictment of Manafort and Gates, the two men "used one of their offshore accounts to funnel $4 million to pay secretly for the report." The law firm and Craig have not responded to the AP's requests for comment. Separately, Mueller has an ongoing investigation into former national security adviser Michael Flynn on similar allegations related to lobbying work his firm performed for a Turkish businessman.